The Interior Department says it is replacing an Obama-era regulation aimed at restricting harmful methane emissions from oil and gas production on federal lands. A rule being published in the Federal Register this week will replace the 2016 rule with requirements similar to those that were in force before the Obama administration changed the regulation. 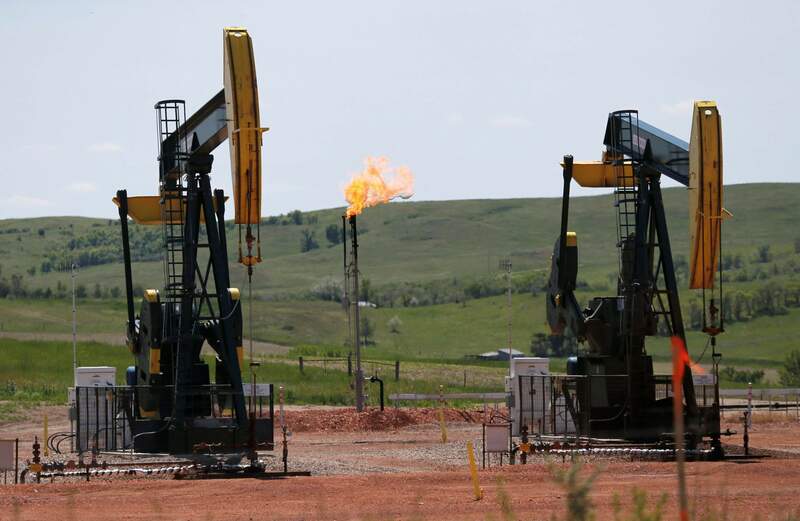 WASHINGTON – The Interior Department is replacing an Obama-era regulation aimed at restricting harmful methane emissions from oil and gas production on federal lands. A rule being published in the Federal Register this week will replace the 2016 rule with requirements similar to those in force before the Obama administration changed the regulation. Interior had previously announced it was delaying the Obama-era rule until January 2019, arguing that it was overly burdensome to industry. Officials said then that the delay would give the federal Bureau of Land Management time to review the earlier rule while avoiding tens of millions of dollars in compliance costs to industry. The new rule announced Monday marks at least the fourth time the Trump administration has moved to delay, set aside or replace the Obama-era rule, which was finalized in late 2016. The new rule comes after a federal judge rejected a bid by the Trump administration to roll back the rule last fall. The Republican-controlled Senate upheld the Obama rule last May in a vote that surprised and angered many conservatives and delighted environmentalists. U.S. Magistrate Judge Elizabeth Laporte of the U.S. District Court for the Northern District of California said in October that Interior had failed to give a “reasoned explanation” for changing the Obama-era rule and had not offered details on why an earlier analysis by the Obama administration was faulty. Laporte’s order reinstated the 2016 rule, but BLM later delayed the rule until 2019. The rule announced Monday is intended to be a permanent replacement for the Obama rule. The public has 60 days to comment, with a final rule expected later this year. House Natural Resources Committee Chairman Rob Bishop hailed the latest proposal on how to handle methane emissions on federal lands. “The previous administration scorned domestic energy development and crafted the prior rule to deliberately stifle” energy production, said Bishop, R-Utah. The new rule will “promote investment in federal and tribal lands so that economies in the West can grow,” he said. Fred Krupp, president of the Environmental Defense Fund, said the Obama-era rule required oil and gas companies to “take common-sense and cost-effective measures to reduce preventable leaks and venting of methane” at drilling sites. The new proposal by Interior Secretary Ryan Zinke “would only serve to reward the least responsible actors in industry at a time when other companies are moving forward to tackle methane waste,” Krupp said, citing a voluntary program by large energy companies to reduce methane emissions at drilling sites nationwide. A program backed by the American Petroleum Institute, the top lobbying group for the oil and gas industry, is intended to encourage drillers to find and fix leaks and take other steps to reduce the escape of natural gas into the atmosphere during drilling operations.